From autos to nuclear services to steel, the story of Nucor is about the ability to adapt to changing times. 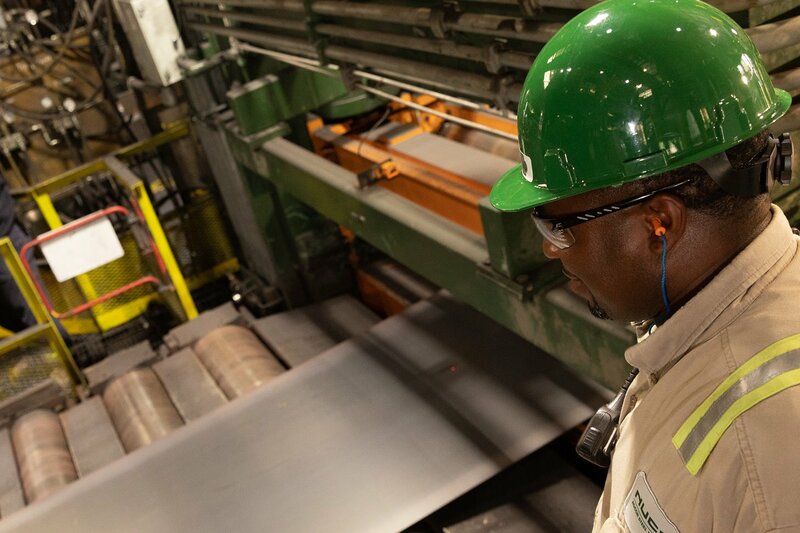 The company's innovative and teammate-focused culture catapulted Nucor from the little steel company that could to the largest producer and recycler in America. These are the events that helped Nucor change the face of the steel industry. 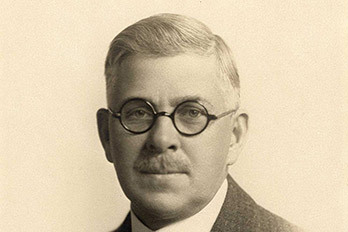 Ransom E. Olds, creator of the Oldsmobile, forms REO Motor Company, which evolves into the Nuclear Corporation of America and ultimately Nucor. 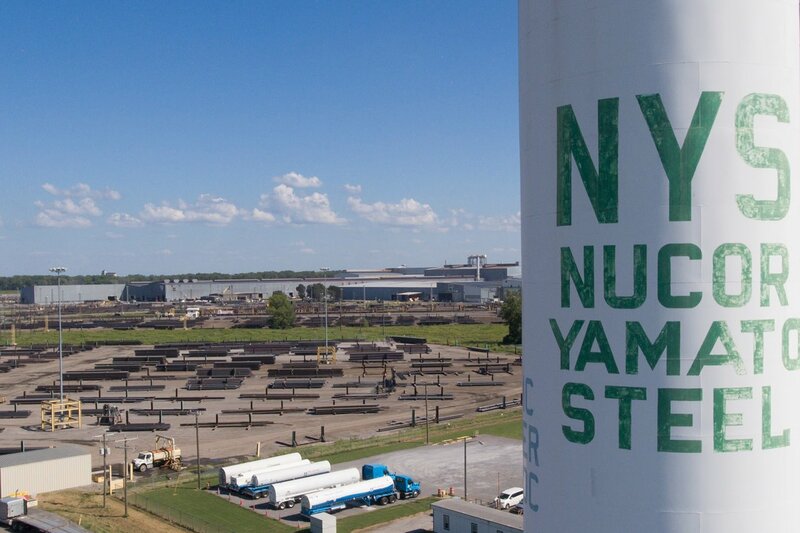 Nuclear Corporation makes two strategic moves that change the company and ultimately the American steel industry: the acquisition of Vulcraft, a producer of steel joists and girders, and the hiring of Ken Iverson to run Vulcraft. 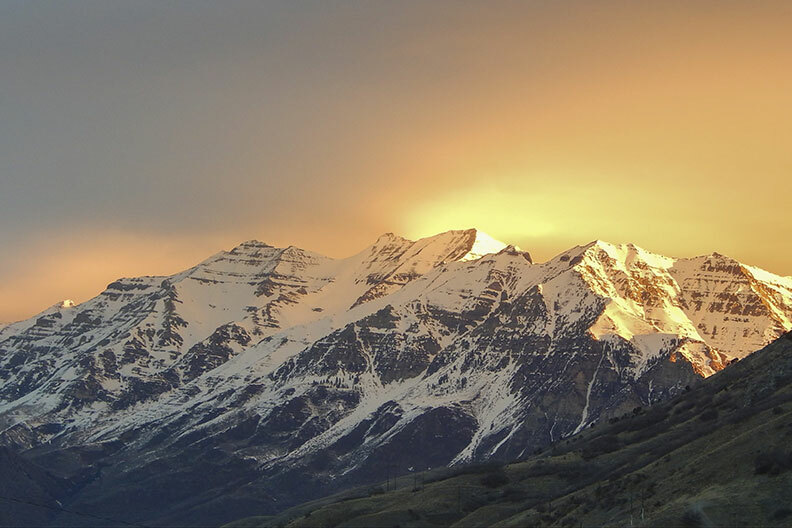 Iverson soon emerges as one of the great visionaries and mavericks in American industry. The company opens a second Vulcraft plant in Nebraska to meet increasing demand for steel joists. Based on the success of its first two plants, Vulcraft purchases M&S Steel Company of Fort Payne, Alabama in 1967, which becomes Vulcraft – Alabama, and builds its fourth steel joist plant in Grapeland, Texas the following year. Business booms, and Vulcraft’s growth has continued ever since. Nuclear’s newly appointed president, Ken Iverson, and company treasurer and controller, Sam Siegel, act quickly to put the company on a course toward profitability, including selling off inefficient divisions. 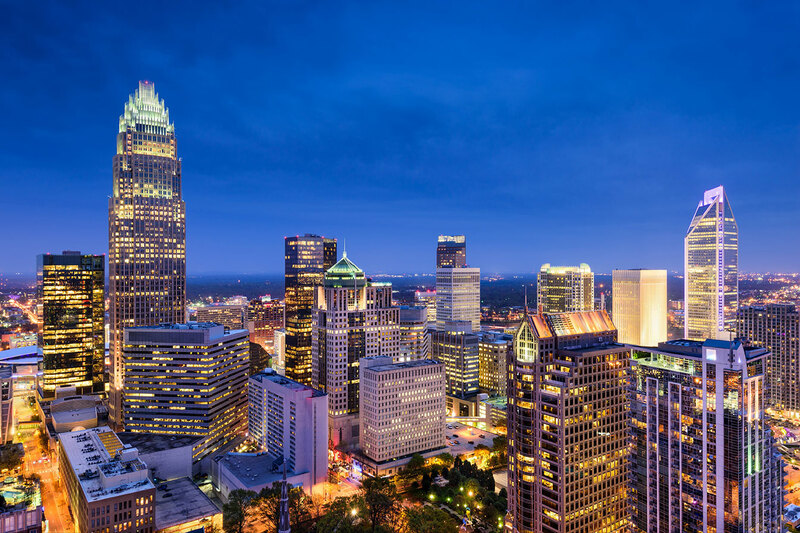 The company moves its corporate headquarters from Phoenix, Arizona, to Charlotte, North Carolina. Iverson proposes entering the steelmaking business and starts a profit sharing program, beginning the company’s tradition of paying for performance. 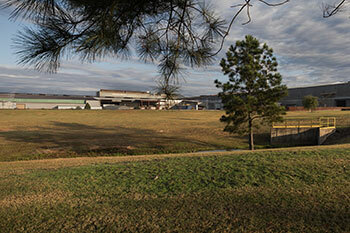 The company’s first mini mill, located in Darlington, South Carolina, goes into production. At first intended as a way to provide a reliable and economical supply of steel to the company’s Vulcraft divisions, the mini mill soon expands production to accommodate outside customers. With the company now on its way to becoming a highly focused steel producer, the board of directors of Nuclear Corporation of America approves a name change to Nucor. 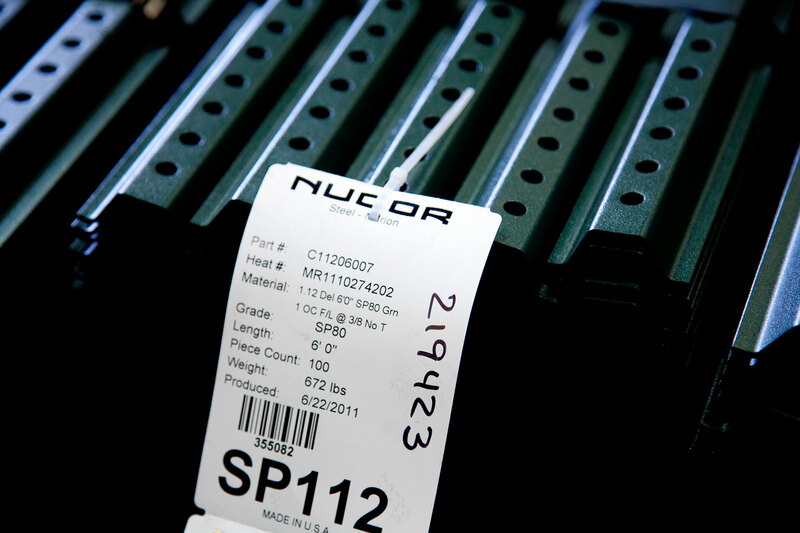 Nucor is listed under the ticker symbol NUE on the New York Stock Exchange for the first time. The company also announces plans to build a second mini mill, located in Norfolk, Nebraska, while a fifth steel joist plant goes into operation in St. Joe, Indiana. Nucor offers a 5-cent cash dividend per share of the company’s common stock, and has paid a quarterly dividend ever since. A year later, the Nucor Foundation is established for teammates’ children. Since 1974, Nucor has contributed over $97 million to scholarships and educational disbursements. And in 1975, Nucor begins the tradition of listing teammate names on the cover of the annual report. Sensing an opportunity in a market experiencing short-term steel shortages, Nucor begins operation of its third mini mill in six years. Located in Jewett, Texas, Nucor Steel Texas is sixty miles from the Vulcraft plant in Grapeland. The company enters the cold-finish market with a new mill in Norfolk, Nebraska. 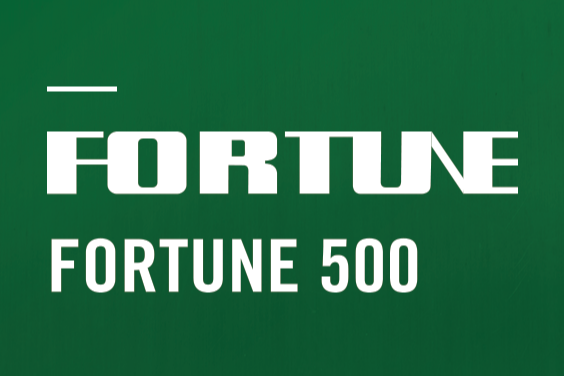 Nucor breaks into the Fortune 500 and has been climbing ever since. 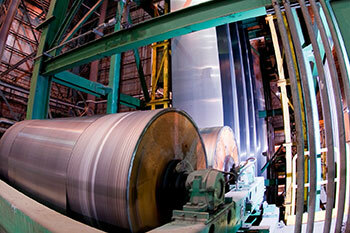 Nucor begins operating a 400,000-ton-per-year mini mill in Plymouth, Utah. With the company performing well, this fourth mini mill further increases Nucor’s steelmaking capacity and gives it a strong foothold in the West. 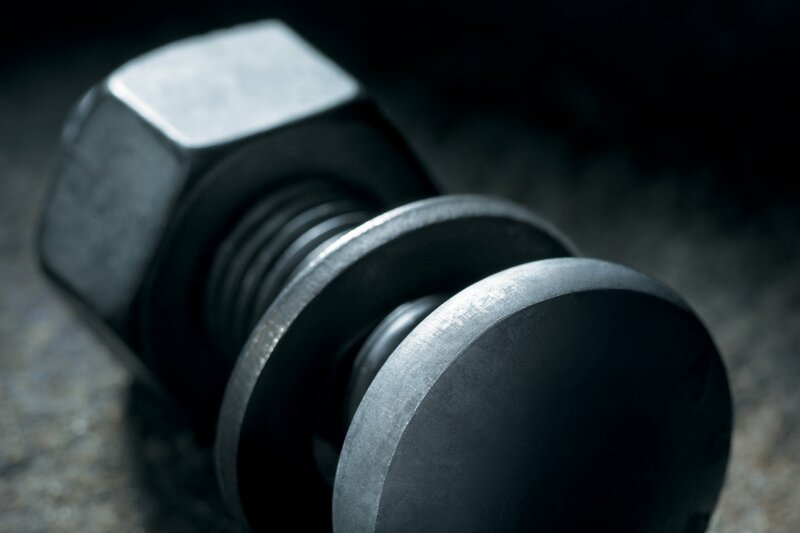 The company enters the steel fastener market with a new production facility in St. Joe, Indiana. Nucor-Yamato Steel Company forms as a joint venture between Nucor and Yamato Kogyo with the goal of manufacturing wide-flange beams in Blytheville, Arkansas. 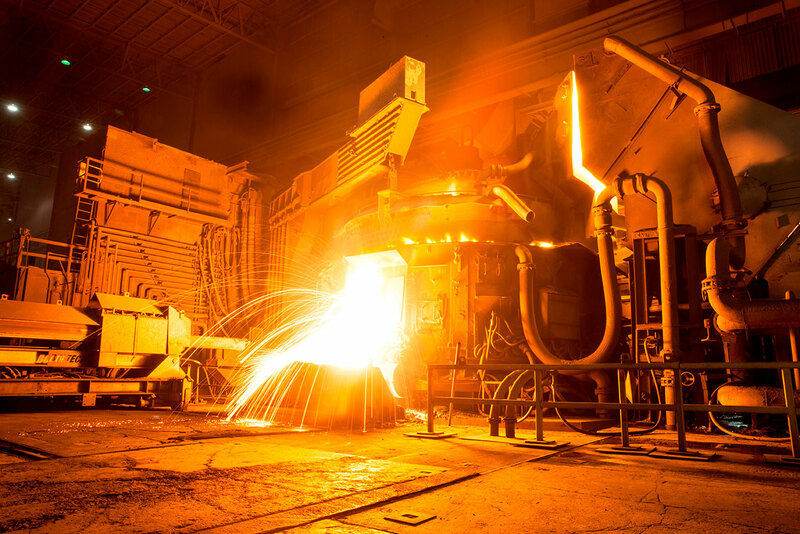 Today, Nucor-Yamato has the capacity to produce over 2.5 million tons per year of wide-flange beams and a variety of other products and structural shapes. Nucor Building Systems begins operation with a new plant in Waterloo, Indiana, focusing on the design and manufacture of custom-engineered metal building systems. After three greenfield startups, the Buildings Group grows in 2007 to include American Building Company, Kirby Building Systems, Gulf States Manufacturers and CBC Steel Buildings. By 2015, the Buildings Group has an annual capacity of approximately 465,000 tons. 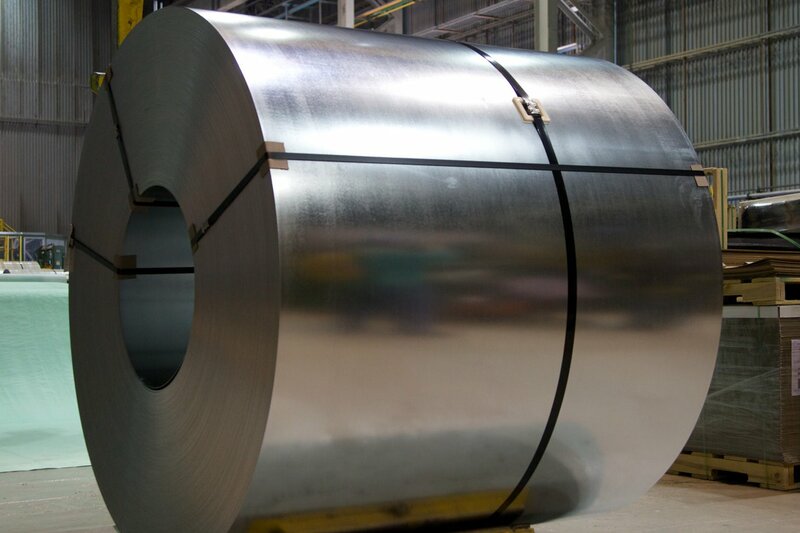 A new era of steelmaking begins when thin-slab technology goes on-line at the new mini mill in Crawfordsville, Indiana. It is the first mini mill in the world to make quality flat-rolled steel using the technology. In 1992, after three years of successfully producing sheet using thin-slab technology, Nucor opens a second sheet mill in Hickman, Arkansas, not far from Nucor-Yamato Steel Company. 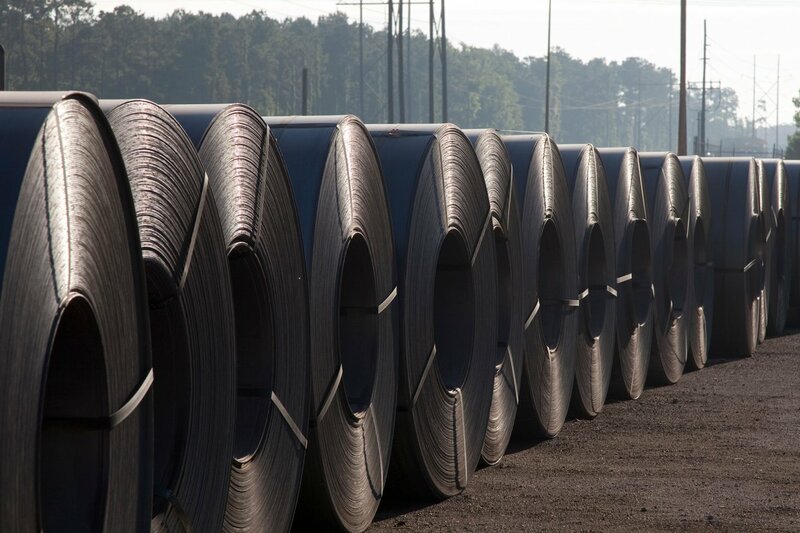 With two large mills in Mississippi County, northeast Arkansas is one of the top steel-producing regions in America. A third sheet mill is added to the company’s portfolio when Nucor Steel Berkeley begins operations. The next year Nucor announces plans to build a beam mill on the site. With its expansion, Nucor soon passes Bethlehem Steel to become the No. 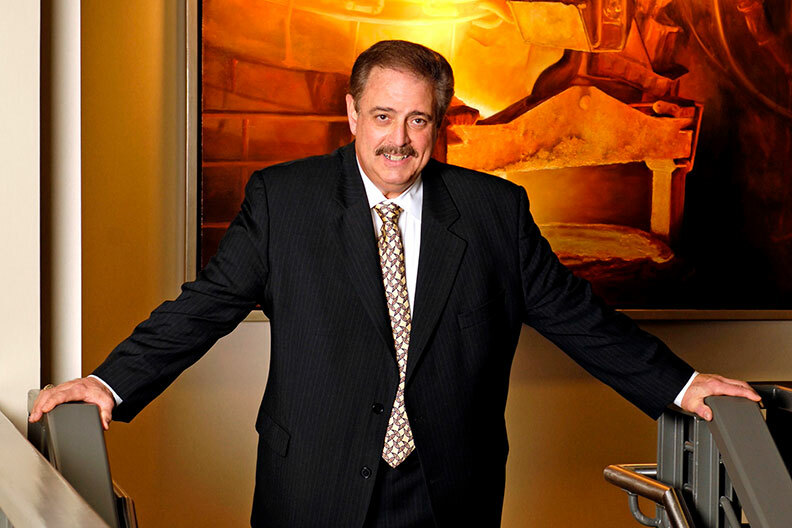 2 steelmaker in the U.S.
Dan DiMicco is named the President and CEO of Nucor, succeeding prior CEOs David Aycock (1999-2000) and John Correnti (1996-1999). 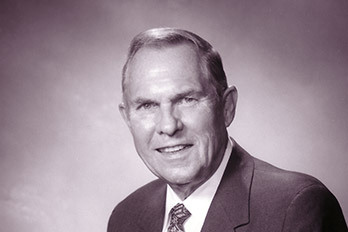 He will go on to be elected Vice Chairman of the Board of Directors in June 2001, and Chairman of the Board in 2006. 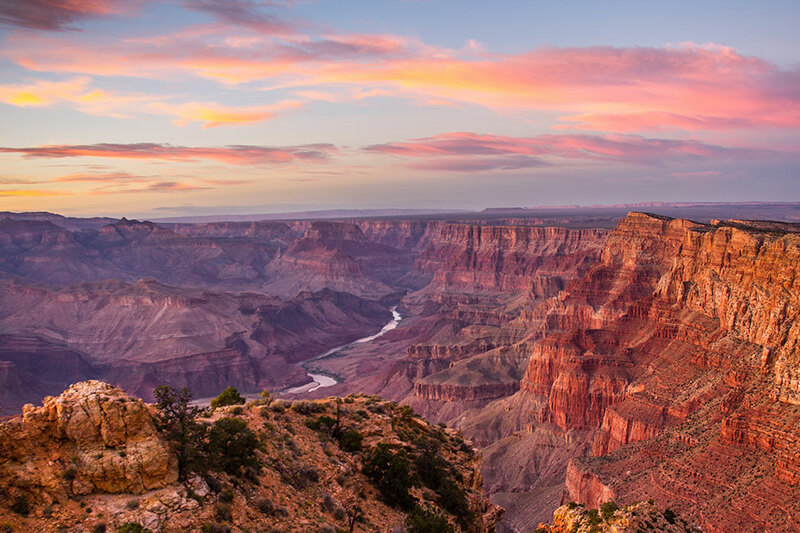 DiMicco leads the company through a period of strong growth and champions an ongoing fight for fair trade practices to save American jobs and the U.S. manufacturing industry. The company’s state-of-the-art plate mill in Hertford County, North Carolina, begins operations. Nucor Steel Hertford County, developed on 990 acres along the Chowan River, produces plate for uses ranging from railroad tank cars to armored personnel carriers. 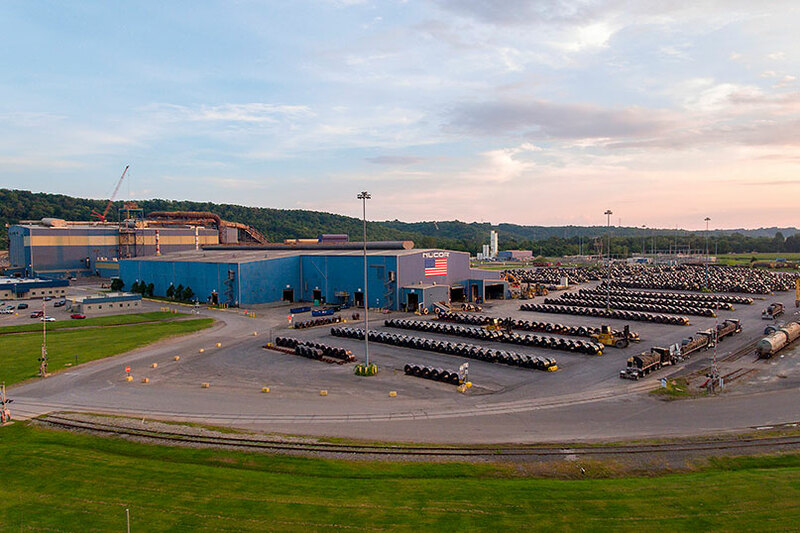 The acquisition of Auburn Steel, a bar mill in New York, is the company’s first steel mill acquisition in its then 36-year history, heralding a decade of aggressive and strategic growth for the company. Castrip® technology goes on-line in Crawfordsville, Indiana. 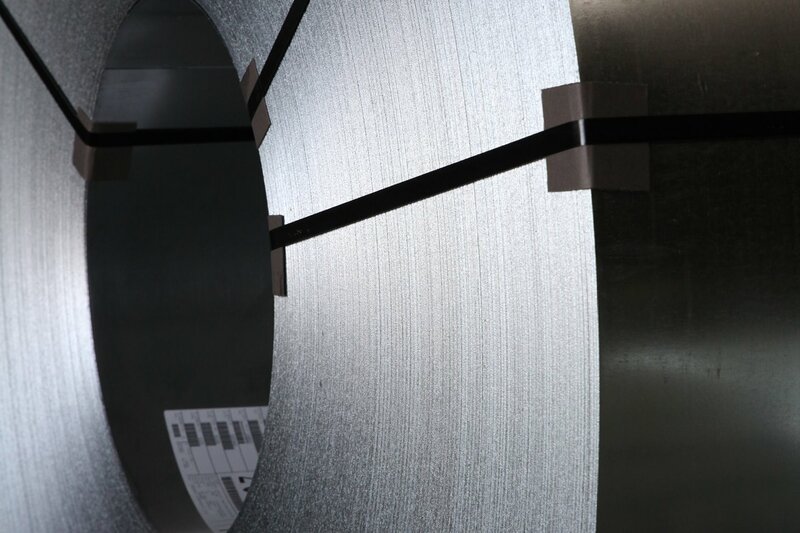 The process casts molten steel directly into sheet steel at or near its final thickness, eliminating the need for large hot and cold rolled reductions. 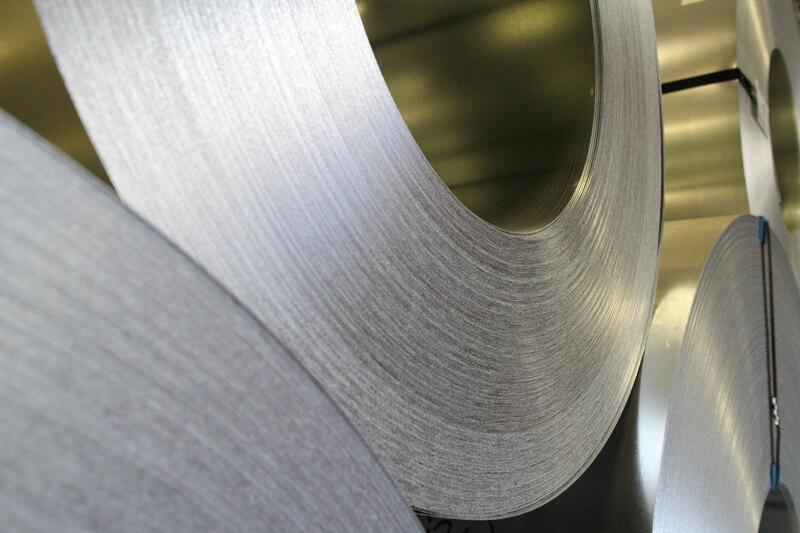 Compared to the casting and rolling process of an integrated steelmaking facility, the Castrip process consumes about 95 percent less energy and emits less than one-tenth the greenhouse gases. 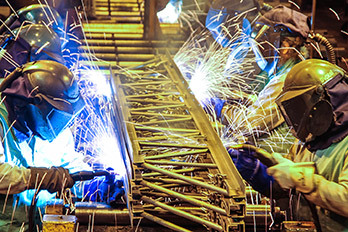 Nucor’s acquisition strategy moves into high gear. 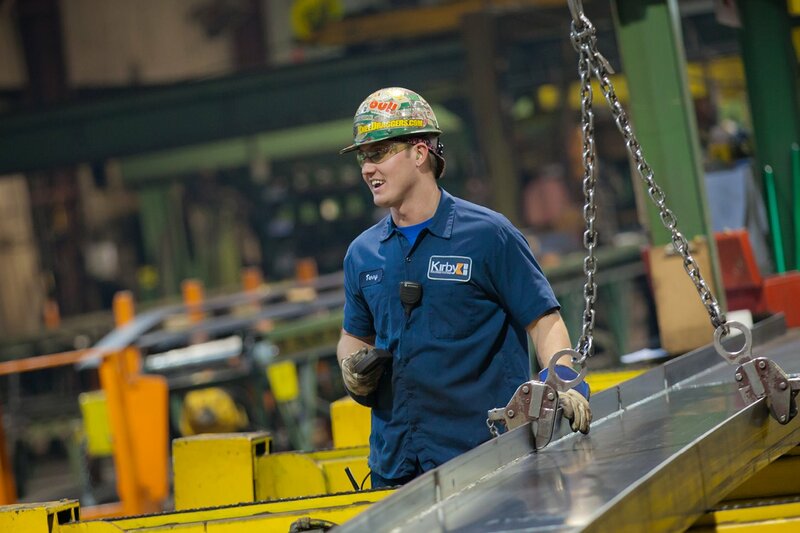 In July, Nucor acquires Trico Steel, which becomes Nucor Steel Decatur, LLC. In December, the company acquires Birmingham Steel, resulting in several new Nucor mills: Nucor Steel Kankakee, Inc.; Nucor Steel Jackson, Inc.; Nucor Steel Seattle, Inc.; Nucor Steel Birmingham, Inc.; and Nucor Steel Memphis, Inc., which begins operating in 2008. Nucor acquires a North Star Steel mill in Kingman, Arizona, for $35 million. 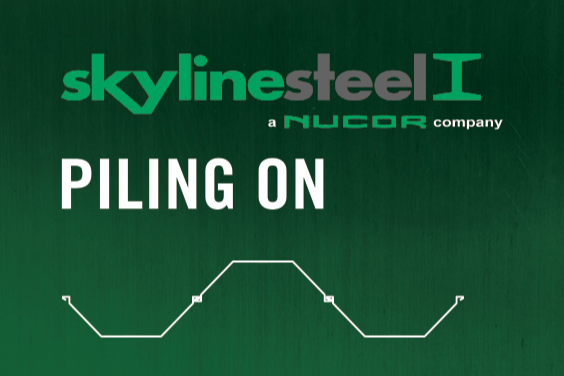 Nucor Steel Kingman, LLC begins operating in 2009, focusing production on rebar and wire rod. 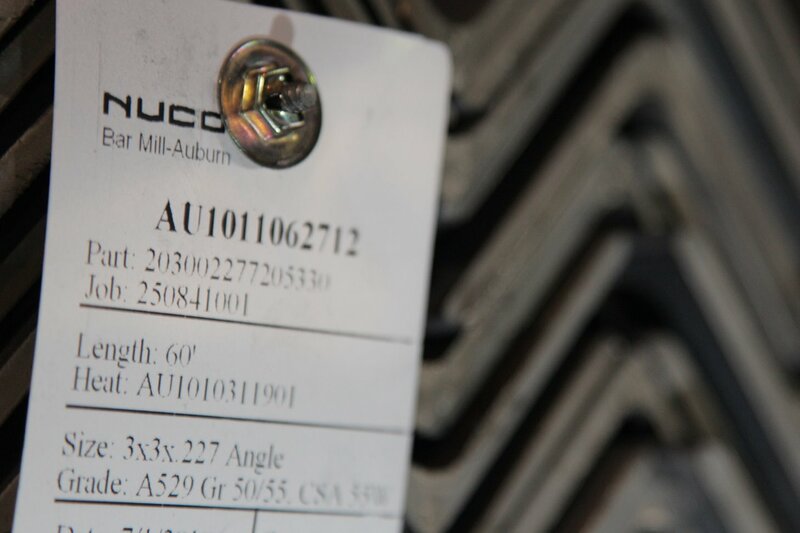 In 2004, Nucor acquires Corus Tuscaloosa, which becomes Nucor Steel Tuscaloosa, Inc. 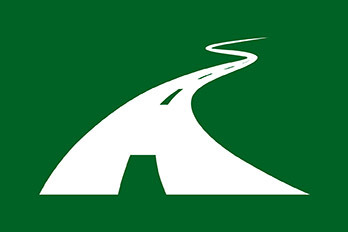 The company’s buying spree continues with the acquisitions of Fort Howard Steel, which becomes Nucor Cold Finish Wisconsin, Inc., and Marion Steel in Ohio, which becomes Nucor Steel Marion, Inc.
Production of direct reduced iron (DRI) begins at the innovative Nu-Iron Unlimited facility in Point Lisas, Trinidad, signaling a shift to DRI as an alternative to scrap. 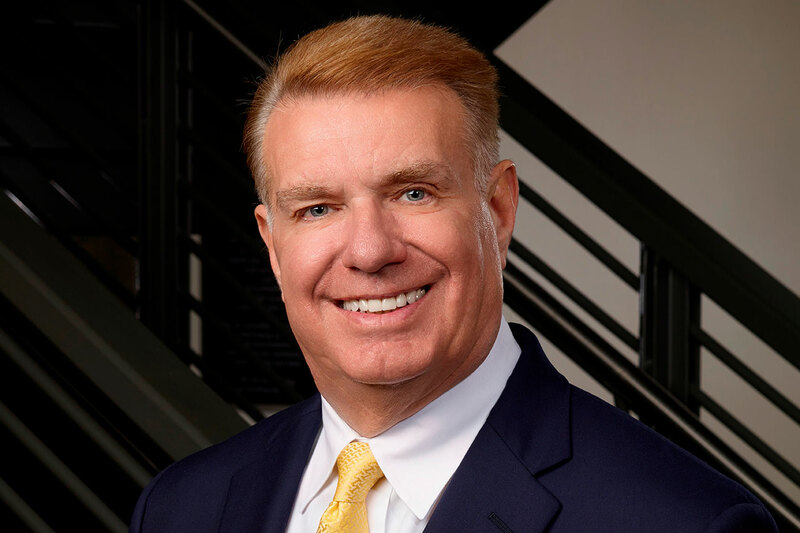 Nucor also purchases Connecticut Steel and renames the mill Nucor Steel Connecticut, Inc. 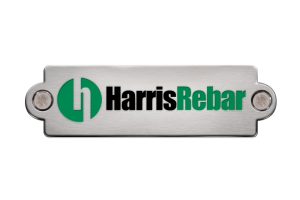 The $1.07 billion acquisition of Harris Steel Group provides entry into the rebar fabrication market, significantly expanding Nucor’s North American footprint and providing downstream growth opportunities. Nucor acquires The David J. Joseph Company, one of the nation’s largest scrap processors and brokers. 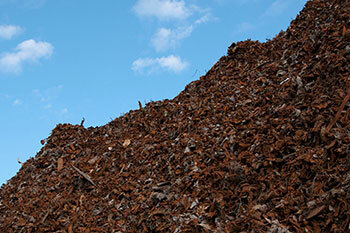 The acquisition provides Nucor further control of its raw material supply, especially scrap steel, which makes up 75 to 90 percent of the material used to recycle steel. 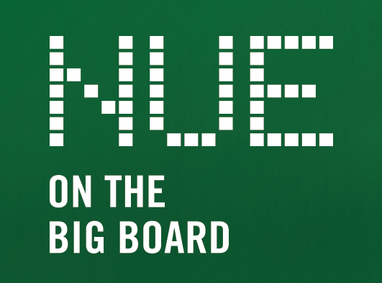 Nucor announces a joint venture with Mitsui & Co. to create NuMit, LLC. 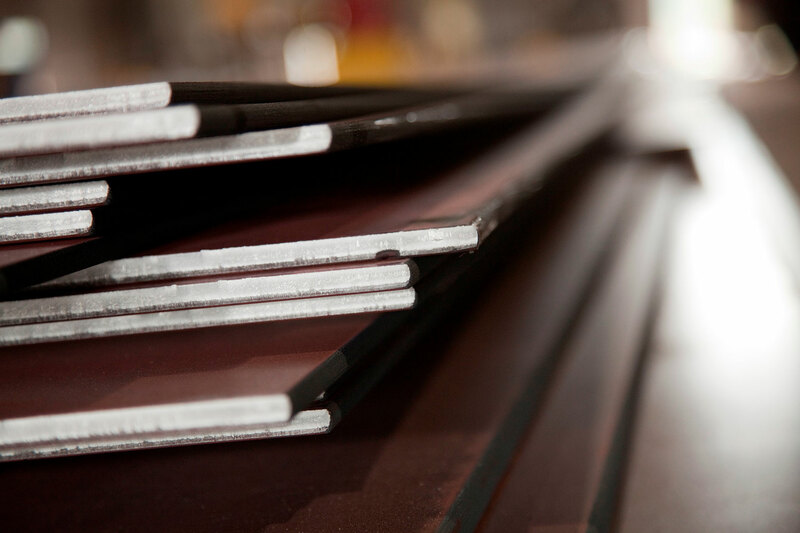 The venture includes Steel Technologies LLC, which operates sheet steel processing facilities throughout North America, transforming flat-rolled steel into products for the automotive, agricultural and consumer goods markets. The company acquires Skyline Steel LLC, a leading piling and distribution company. Expanding the company’s capabilities to service customers in the steel sheet piling market. John J. Ferriola assumes the role of President and CEO, succeeding Dan DiMicco. The next year, Ferriola takes on the responsibilities of Executive Chairman. 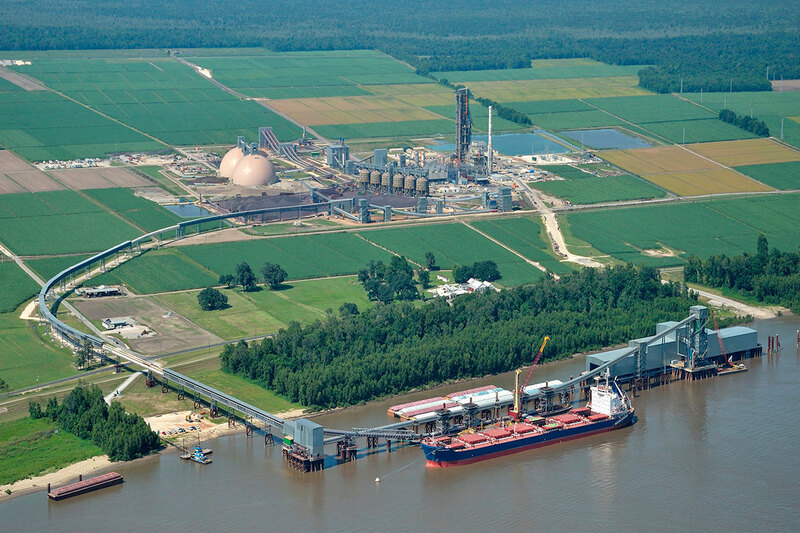 The $750 million direct reduced iron (DRI) plant in St. James Parish, Louisiana, becomes fully operational. 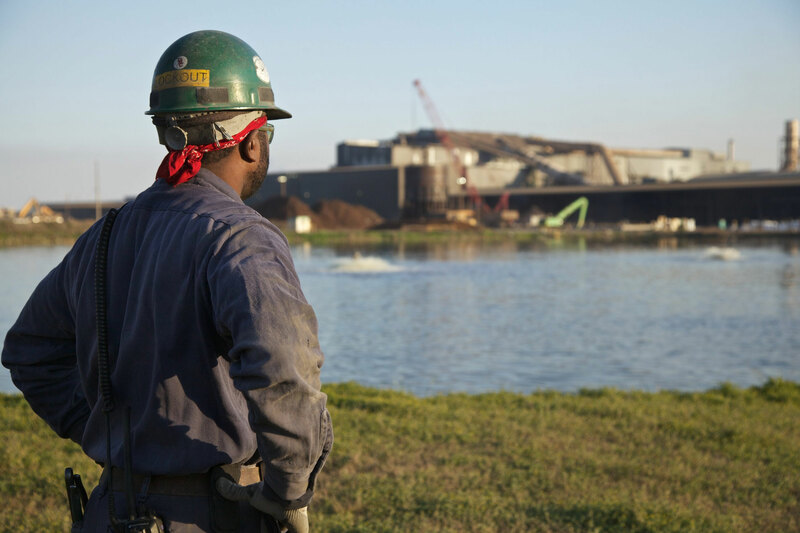 Nucor Steel Louisiana LLC is the largest DRI plant in the world with an annual production capacity of 2.5 million tons, and is the first DRI plant to operate in the U.S. since 2009. 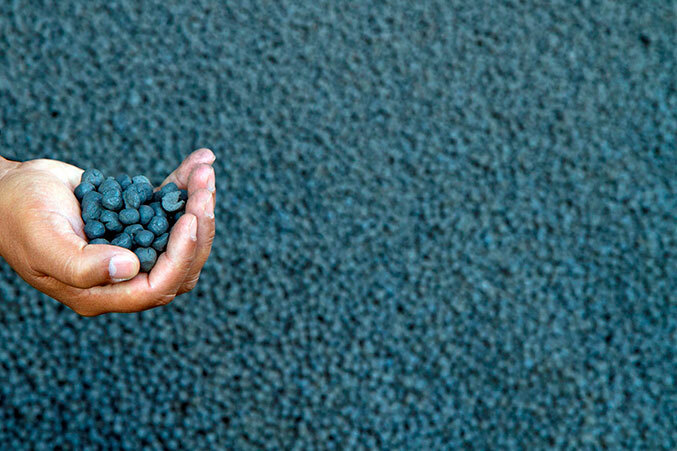 Production of DRI gives Nucor greater flexibility to respond to increases and volatility in raw material prices. In October, Nucor purchases Gallatin Steel, a flat-rolled mill in Ghent, Kentucky, which becomes Nucor Steel Gallatin LLC. The acquisition increases Nucor’s flat-rolled capacity by 16 percent and broadens the company’s footprint in the important Midwest region. 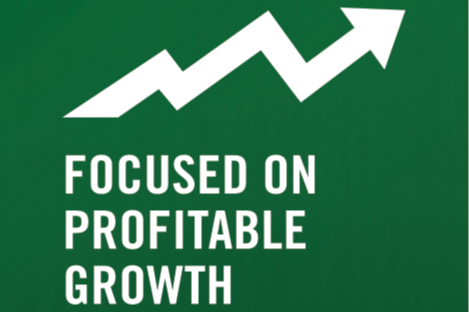 Nucor continues to execute its strategy for profitable growth. The company acquires a plate mill in Longview, Texas, and announces a joint venture with JFE Steel Corporation of Japan to build a plant in central Mexico to supply that country’s growing automotive market. 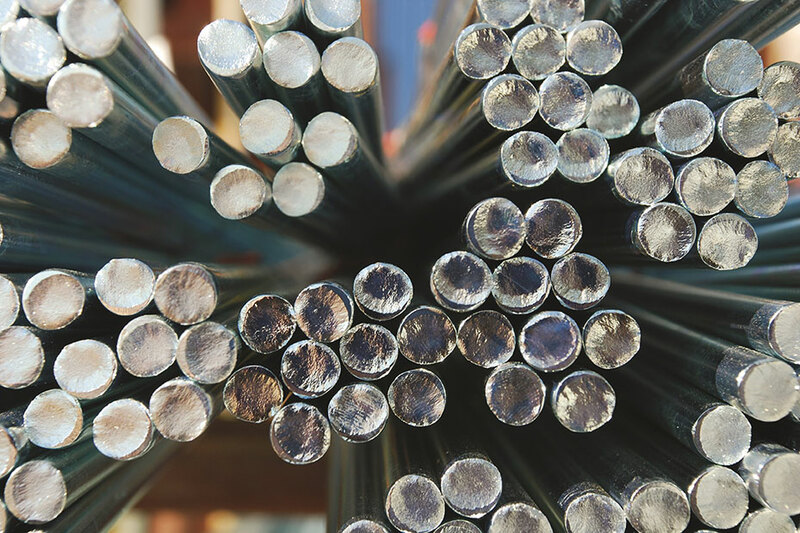 Nucor also moves boldly into the steel tubing market, adding over a million tons of capacity with the acquisition of Independence Tube Corporation, Southland Tube Incorporated, and Republic Conduit.